In Paul’s letter to Timothy, he contrasts physical training (which is good) to spiritual training (which is better). 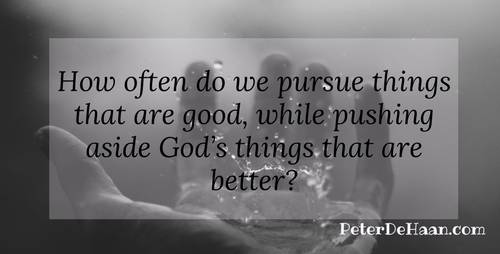 I wonder, how often do we pursue things that are good, while pushing aside God’s things that are better? That’s something to think about next time we’re working out or pursuing some leisure time activity. After all, I don’t want to live a good life, but the best life possible.